Massachusetts has sued the maker of OxyContin over the deadly opioid crisis and has become the first state to also target the company's executives. The suit alleges Purdue misled doctors and patients about the risks of opioids and "peddled falsehoods" to sell more drugs and boost profits. "I promised to find out what these companies knew and when they knew it and the extent to which they misled patients into think their drugs were actually safe," Healey said. "We found that Purdue misled doctors, patients and the public about their dangerous opioids, including OxyContin." Healey said the Connecticut-based company's "illegal business model" has left a "path of devastation and destruction." Multiple states have filed lawsuits against Purdue Pharma for their alleged part in fueling the opioid crisis, but Massachusetts is the first state to name the company's executives personally in their lawsuit. 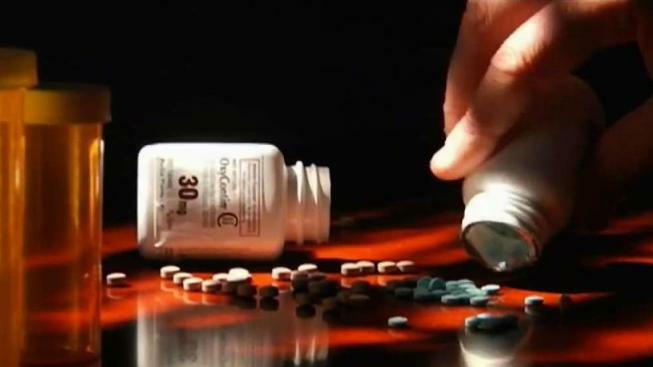 According to Healey, the investigation showed Purdue Pharma engaged in a multibillion dollar enterprise marketing opioids under the oversight and direction of 16 current and former executives and directors named in the complaint. Report: Opioid Deaths Declining in Mass. "Their strategy was simple. The more drugs they sold, the more money they made, and the more people died," Healey said. In the past decade, over 670 people in Massachusetts who were prescribed Purdue Pharma opioids have died, according to Healey. Massachusetts Gov. Charlie Baker said the lawsuit and identifying those people who died will force Purdue Pharma to "own up to the decisions they made and the wreckage they left behind." Elected officials in Massachusetts are launching a new effort to fight the opioid crisis. Purdue Pharma issued the following statement in response to the Massachusetts lawsuit. Last month, the state Department of Public Health said deaths related to opioid overdoses in Massachusetts were on the decline. For all of 2017, the state reported 2,016 confirmed or estimated deaths, 133 fewer than in all of 2016. The report pointed to an ongoing decline in prescriptions written by doctors for opioid-based medications. Baker said those numbers reflect the success of a prescription monitoring program implemented by the state.